This is an example of the communications that can be captured between a customer and employee using Communicate&Convert. Click on any screen shot to learn more. 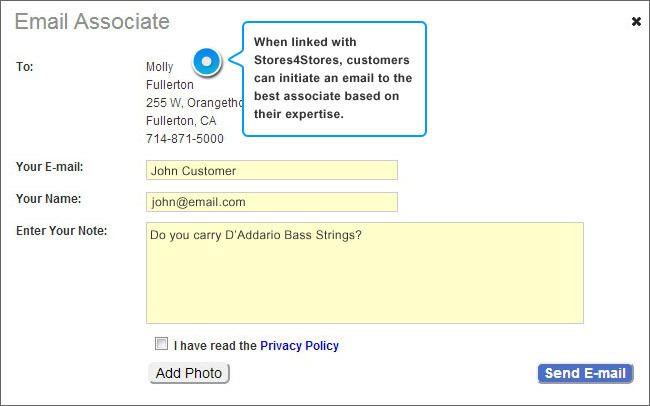 Customers use email to connect with local employee experts. 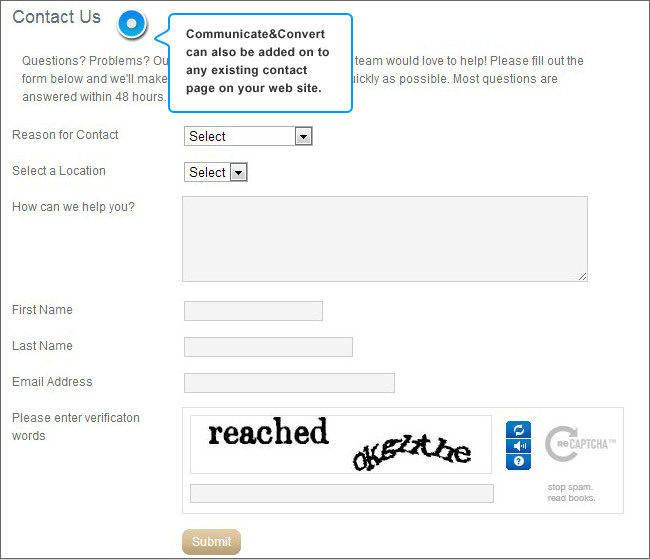 Customers can start with a generic contact form, or by connecting to a specific expert page (by using Stores4Stores). 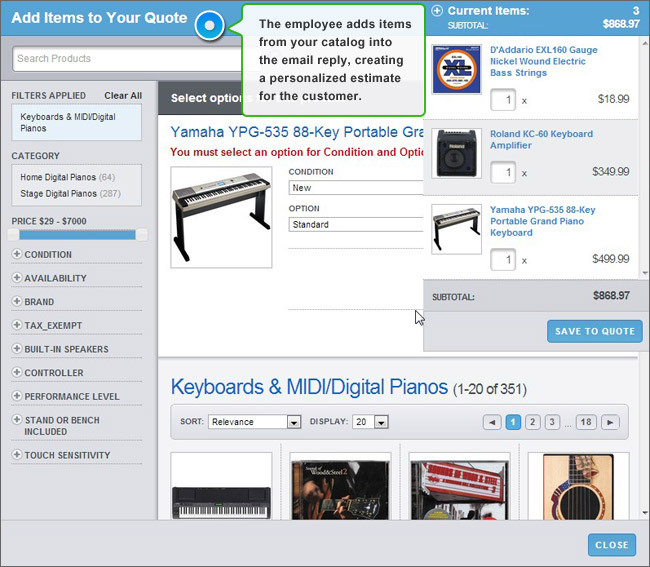 Associates can embed product descriptions, information and estimates to create a personalized quote for the customer. 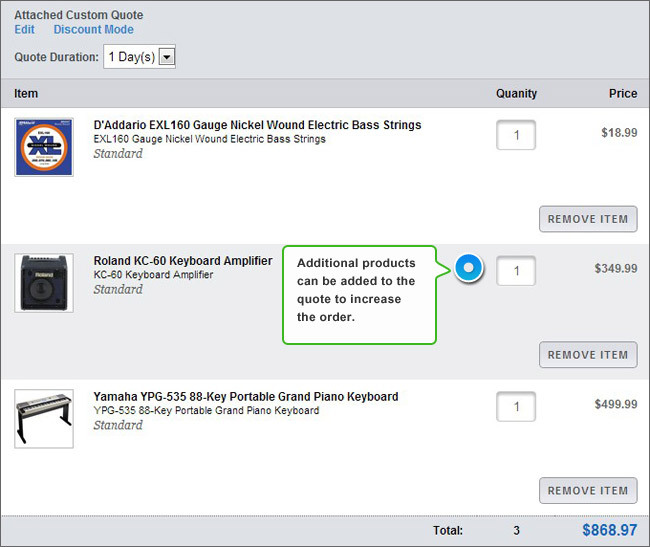 All product information pulls directly from your e-commerce system. Multiple items can be added to the quote. 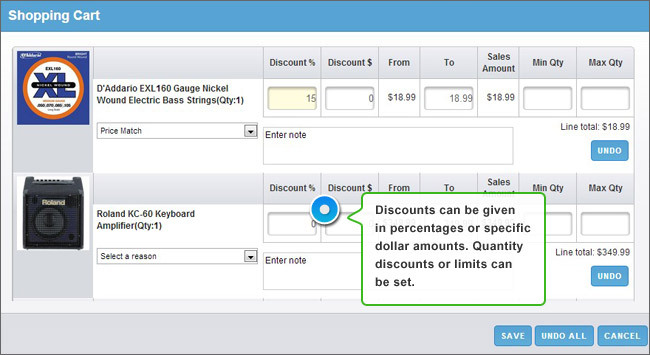 The system supports different permissioning access, and qualified employees can offer discounts. With our pervasive shopping cart, the customer can click directly within the email and the items are added to their online shopping cart. 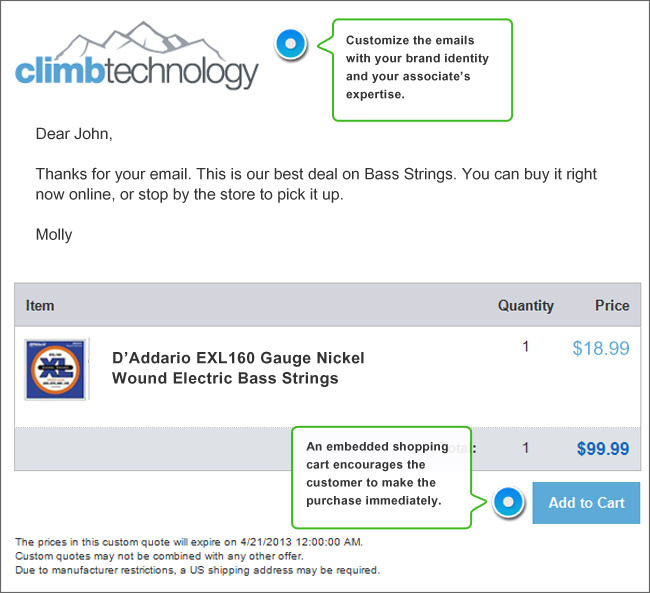 Checkout is easy and familiar. 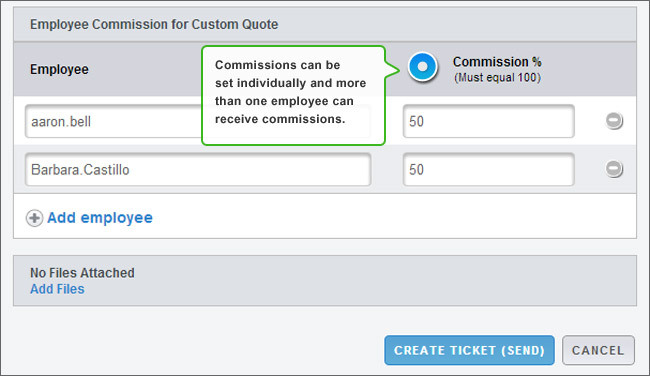 Quotes can include commission information so that agents or teams are credited with sales. The commissions generated through Communicate & Convert sales can be reviewing with our robust reporting tool.